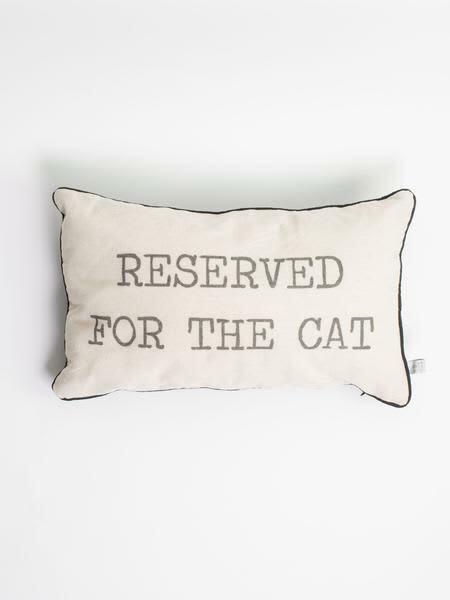 This is the Reserved For The Cat Cushion Cover from Sass & Belle. The cushion reads 'Reserved for the Cat’ and comes supplied with an inner. This linen cushion has black piping around the edge giving it a timeless look. Price includes cushion cover and inner. Car and Kitchen in Settle, United Kingdom.